The book is broken down into categories like Occupations, Sports, Famous Names and Events, Military, just to name a few. I do have to warn you, the author must have loved cows lol! There are a ton of jokes pertaining to cows. 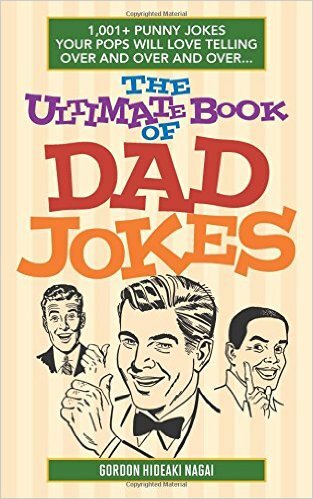 My husband has this book next to his chair and always ready to go when the kids want to come at him. Lately we seem to be having "joke" competitions in our home. Kid tested and approved, this book is the perfect Father’s Day gift as well as a must-have for all wordsmiths and pun-lovers.